I wasn’t able to post my stash report last week because I was out of town. But anytime I go out of town – I buy fabric! Specifically 12.33 yards of fabric! I was able to work on Scrapitude yesterday as I planned. But I wasn’t able to get the borders on. I didn’t make it to the LQS in time with everything else going on so I went through my entire stash. I did find fabric that would work for the borders but I didn’t have enough of it! C’est la vie! I will be going to the LQS sometime this week to get something for the borders. I was able to work on Month by Month! The only thing I had left to do for Month by Month was “put the binding on”! I was able to do that and the next step is to get the label. I’ll be working on the Embroidery machine to create that today. But I consider this a finish! Ooooo! SoCal Quilters Run?!?! Thank you for the tip! I’m so IN! Yeah I think she’s hooked me too. We’re already plotting our map of shops to visit! You guys should go! I’m planning out our trip right now too. It’s still up in the air for me since I’ve got a big work project that is taking up a lot of time. I hope that everything works out so that I could go! We’re definitely going to hit up a few shops. Kinda bummed a road trip couldn’t be planned for some of the further stops but maybe next year that will be a possibility! 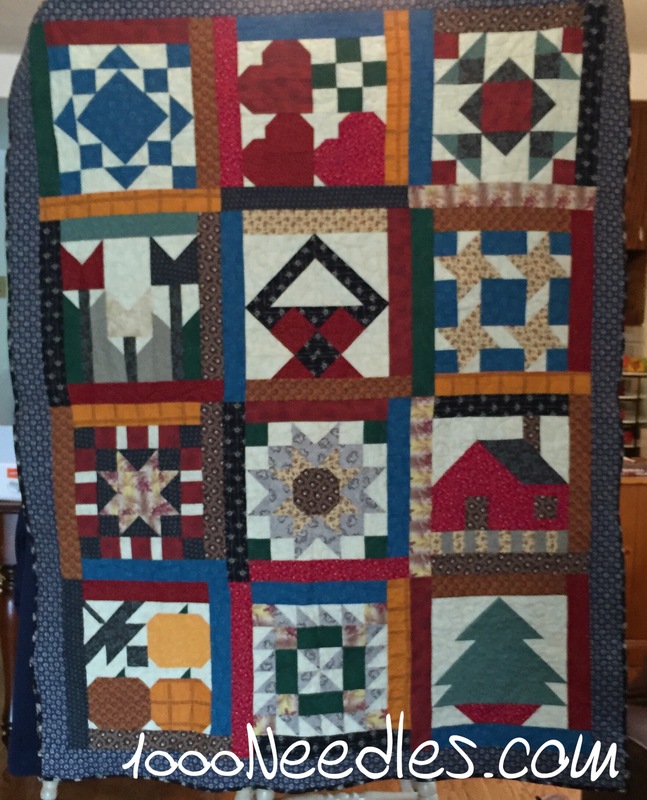 I once made your month Thimbleberries quilt with flannels. I gave it away, but not sure to whom any more….amazing what we forget with time. I had not remembered making it. That’s funny – I’m not there yet but I’m sure I’ll get there. 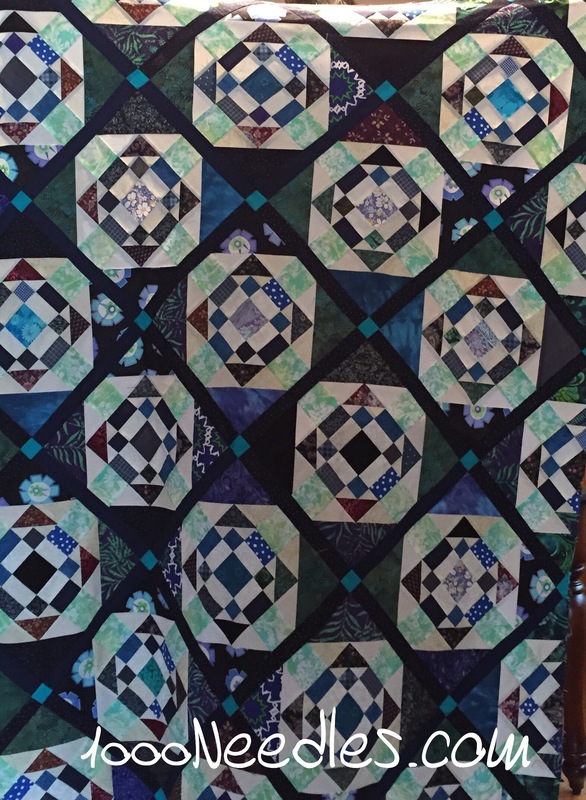 The Thimbleberries quilt was a first in so many ways.. I’m glad to have it done with.